Athirappally Waterfalls is located 78 kms. ahead of Cochin (Kochi), at the entrance to Sholayar ranges. 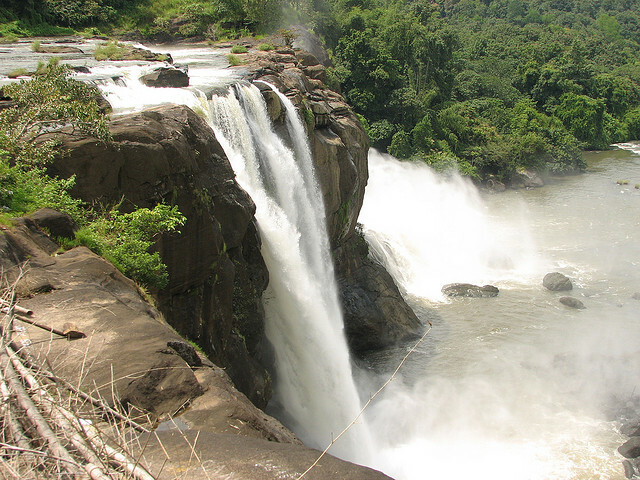 Athirapally is the largest waterfall in Kerala. It is an important tourist place in Kerala. Originating as a silver streak from the high ranges, and crashing through gorges lined with wild bushes and trees the waterfall gains strength and size as it thunders down at its final sojourn before it joins the river downstream. It is one of the best places in India to enjoy the serene charm of nature at its best. Some of the waterfalls are 80 feet tall.